TERRACES OF SUPERIOR QUALITY . 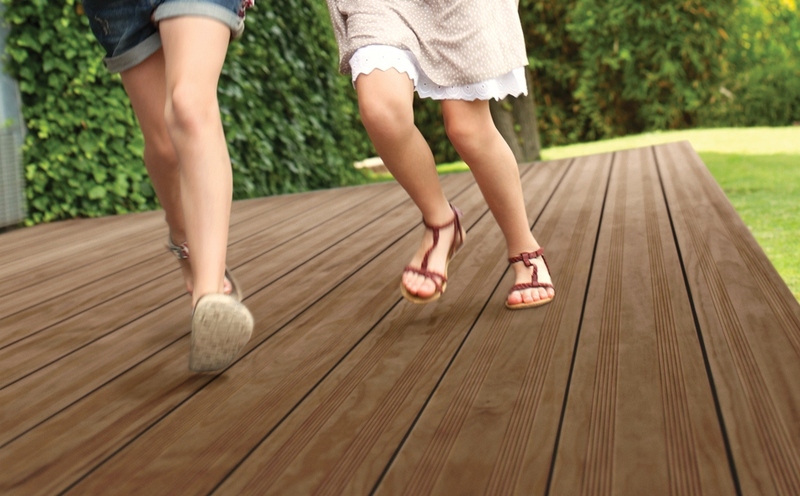 Biological durability class 1 (same teak) and suitable for use class 4 with a minimum guarantee of 25 years in contact with the ground. Outstanding dimensional stability, your blades stay straight and do not tile. Nice surface for the feet, without splinter and not overheating in summer. Good resistance to shocks and abrasion, its hardness is equivalent to that of teak. Durable wood in its raw sawn state is reacted with acetic anhydride. The chemical reaction takes place at the level of the cell membrane of the entire room, regardless of its size, in order to modify the properties of the wood. The acetic anhydride residues and products derived from the chemical reaction are then removed.